Tokyo (AFP) - Japan, the world's sixth biggest greenhouse gas polluter, has pledged to cut emissions 26 percent from 2013 levels by 2030, a target observers judged inadequate to avert calamitous global warming. In order to achieve this goal, nuclear energy, deeply unpopular and offline since the 2011 tsunami-induced Fukushima disaster, must provide about 20-22 percent of electricity production by then, said the country's official UN filing late Friday. Renewable electricity production, including hydro power, would be expanded to 22-24 percent of the total from 11 percent for the year to March 2014, according to documents posted on the website of the UN Framework Convention on Climate Change (UNFCCC) and other official reports. "We have decided to cut greenhouse gas emissions by 26 percent -- an ambitious target that is in no way inferior internationally," Prime Minister Shinzo Abe told a meeting on Friday. "It is urgently needed to boost efforts by the international community to deal with climate change," Abe said, adding that Tokyo was ready to help set up "a fair and practical framework" involving all major greenhouse gas emission countries. Japan became the 19th party, including the 28-member EU bloc, to submit a carbon-cutting pledge to the United Nations ahead of a November 30-December 11 conference in Paris that must finalise a world climate pact. A roster of national emissions curbs will support that agreement, which must take effect from 2020 with the goal to limit average global warming to two degrees Celsius (3.6 degrees Fahrenheit) over pre-Industrial Revolution levels. Greenpeace called the pledge "one of the weakest targets of any industrialised nation" -- pointing out it would amount to a mere 18 percent reduction by 2030 over Japan's 1990 emissions. The EU's target is 40 percent from 1990 to 2030. The Climate Action Tracker, a science-based tool to analyse countries' climate efforts, has described the 26-percent target as inadequate and said Japan could reach it almost without taking any further action. Japan's network of nuclear reactors, which once provided a quarter of the country's power, was switched off after the Fukushima accident, when reactors went into meltdown after their cooling systems were flooded. As a result, the nation relied much more heavily on coal-fired power stations -- among the worst emitters of planet-warming greenhouse gases. 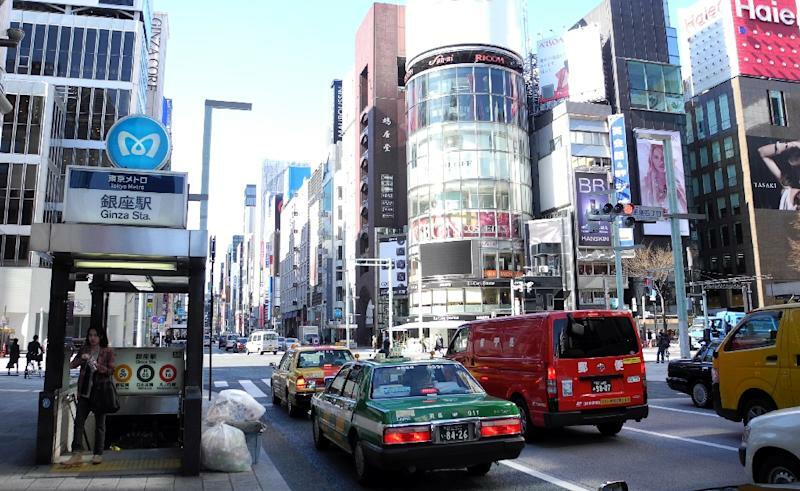 On Tokyo's own count, total greenhouse gas emissions in 2013 amounted to some 1.4 billion tonnes. The global total is now about 50 billion tonnes per year, of which China, the United States and Europe account for about half. According to the UN's Intergovernmental Panel on Climate Change (IPCC), a two degree C pathway requires greenhouse gas cuts of 40-70 percent by 2050 compared to levels in 2010 -- and to zero or below by 2100.